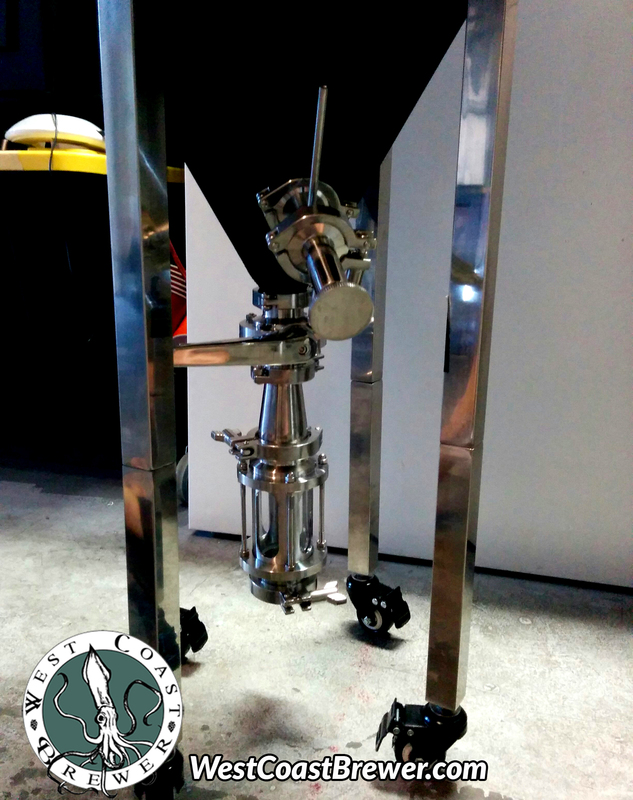 New Stainless Steel Conical Fermenter! I upgraded my homebrewing fermentation equipment last week and purchased a new 14 gallon stainless steel conical fermenter. 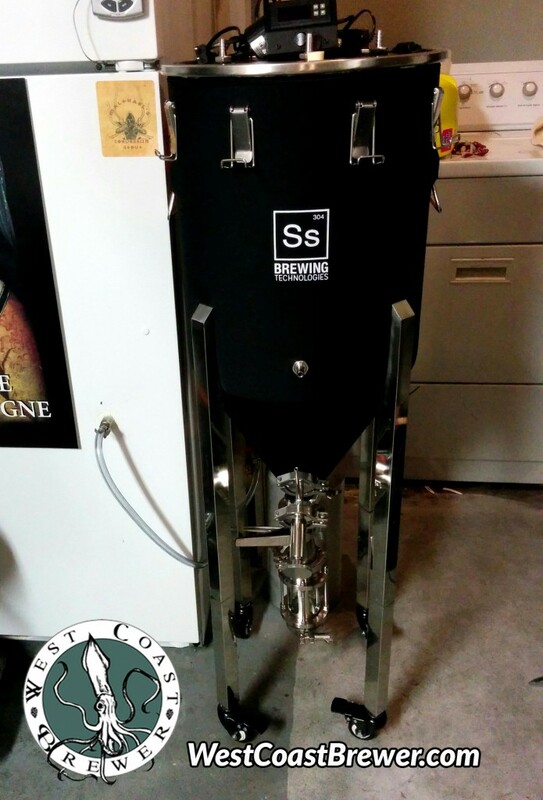 The model that I decided to go with was the SS BrewTech conical, because it was high quality, had a ton of upgrade options and frankly was the best price out there for a stainless steel conical fermenter. In addition to purchasing the base model, I also purchased a temperature control kit. You can get a basic idea how it look by viewing the following image. Basically, the temperature is monitored via a probe in a thermowell, once the temperature reaches a certain point it pumps either hot or cold water through the stainless steel coin that is in contact with the fermenting beer. I ended up also changing out the stainless steel racking arm, which was the only item on the conical fermenter that I was not 100% satisfied with. It was not bad, but I felt that the one that MoreBeer offers on their line of homebrewing stainless steel conical fermenters was superior. 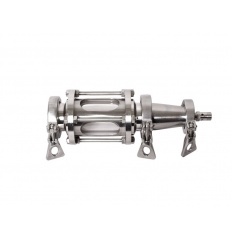 In addition to that I also purchased a stainless steel yeast harvester for my homebrew conical fermenter. I still need to do a little setup and cleaning on my new stainless steel conical fermenter. I want to run the temperature control unit into my kegerator so that I can chill the cooling water in there. As I make progress I will post some followup information! This 14 gallon stainless steel conical fermenter for home brewing is currently available for $495 here. They also have a 7 gallon version for $395. 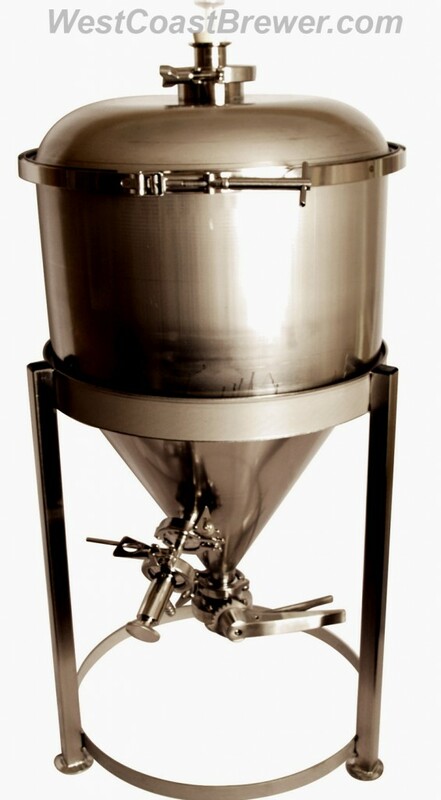 Stainless Steel Conical Fermenter Sale at MoreBeer! Act now and save big at MoreBeer.com! MoreBeer is currently having a sale on their top of the line Stainless Steel Conical Homebrewing Fermenters. If you are not familiar with MoreBeer you should check them out. 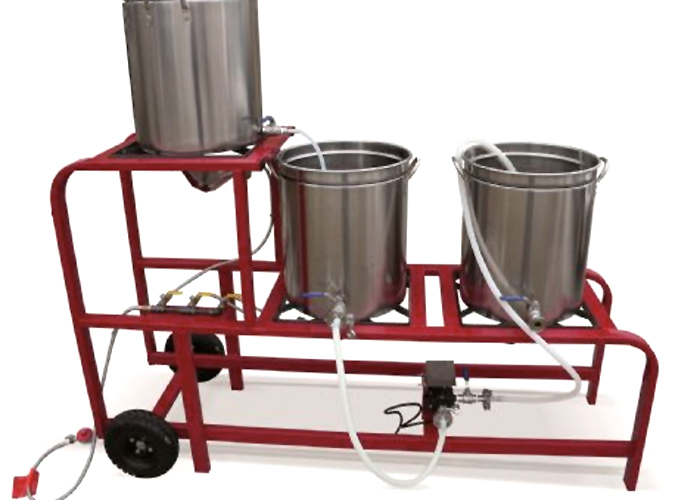 Not only are they one of the best homebrewing supply outfits but they also manufacture some of the best homebrewing products, including stainless steel brew rigs and stainless steel conical fermenters. Right now their line of stainless steel conical fermenters is on sale and you can save a bundle while it lasts. There is no promo code needed for this offer and it is valid on their 7 gallon conical fermenter, 14 gallon conical fermenter and 27 gallon stainless steel conical fermenter. These conical fermenters carry a 5 star user rating and are probably the best home brewing conical fermenter on the market. 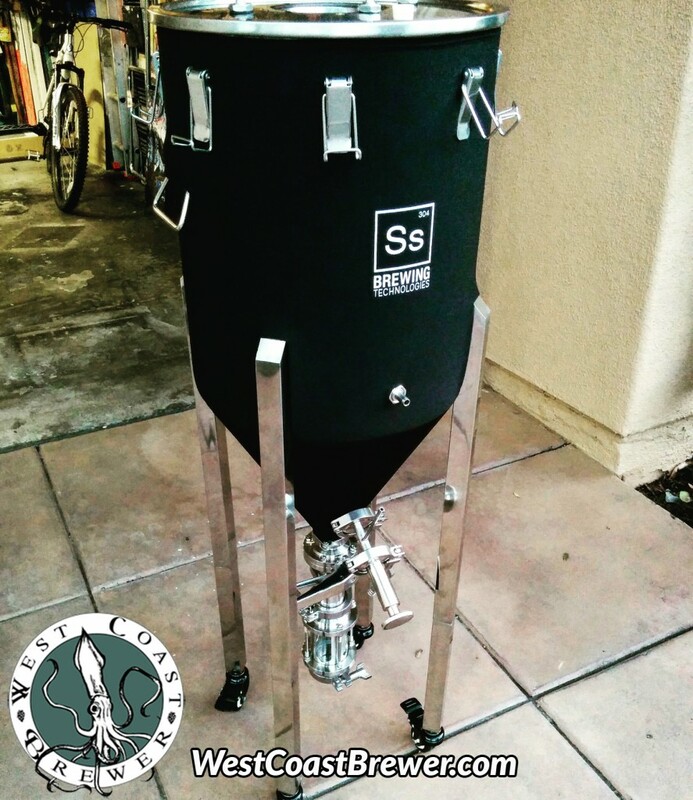 These home brewing stainless steel conical fermenters are designed and fabricated in the USA by MoreBeer’s fabrication team of homebrewers. MoreBeer offers a variety of sizes for your homebrewing needs, from 5 gallon batches to above 20! These conical’s are built to last and are made from food grade 304 stainless steel. They also have the ability to hold up to 5 psi of pressure for sealed beer transfers. 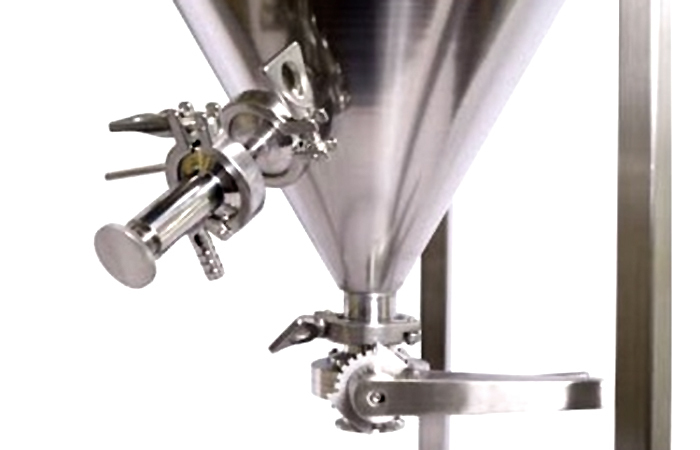 MoreBeer conical fermenters are built with professional quality and sanitary tri-clamp fittings that are welded in place for a lifetime of use. The have also included a stainless steel rotating racking arm that permits you to adjust where you are drawing beer from on the inside of the conical fermenter. The hatch on the top of the fermenter lid allows you to add dry hops or oak during the fermentation process if desired. MoreBeer homebrewing conicals are trusted by breweries like Sierra Nevada, Stone and Russian River for their pilot brewing systems. With the current sale you can save hundreds of dollars on these fermenters! If you are looking to transition from extract brewing to all grain homebrewing and want to do it as inexpensively as possible; Adventures in Homebrewing is currently running a sale on All Grain Homebrewing systems that might be perfect for you. Here are the details on this Homebrewing.org All Grain Brewing System. Adventures in Homebrewing Brewing Rig \ 15.5 gallon all grain brewing system allows you to brew up to 12 gallon beer batches. 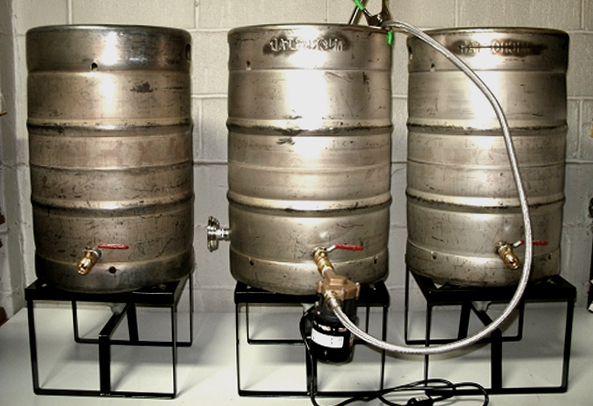 This homebrew system even comes with one pump to be used on your mash tun. This all grain homebrewing kit comes with everything you need but you can also upgrade your Hot Liquor Tank and Boil Kettle to a 2 weld pot, for installing items like a thermometer instead of a long stem clip on thermometer. This all grain homebrew setup also comes with a 3 burner system. If you are looking for a slightly higher end version of a 15 gallon home brewing rig, they also have a sale going on for their 15 Gallon Ruby Steer brew rig for $2850! 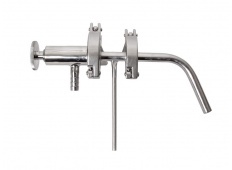 Both boil kettle and mash tun include 18 gauge perforated false bottoms and 1/2″ stainless steel dip tubes. Adventures in Homebrewing and Homebrewing.org are currently having a great promotion on All Grain Homebrewing Equipment. If you are looking to transition from extract home beer brewing over to all grain brewing, you might want to check out the promotion that Adventures in Homebrewing currently has running. For a limited time you can pick up a homebrewing mash tun cooler and hot liquor tank cooler both for just $179. About a year ago now, I brewed this MoreBeer.com clone of Russian Rivers Consecration sour ale. It is a fantastic beer, one of my favorites and this homebrewing beer recipe kit really does it justice. After allowing my Consecration to age for about 12 months and then tasting the two next to one another, they are a very close match. This Russian River Consecration Beer Recipe Kit is released by More Beer with Vinnie from Russian River Brewing’s blessing and he actually released his Consecration recipe to them. 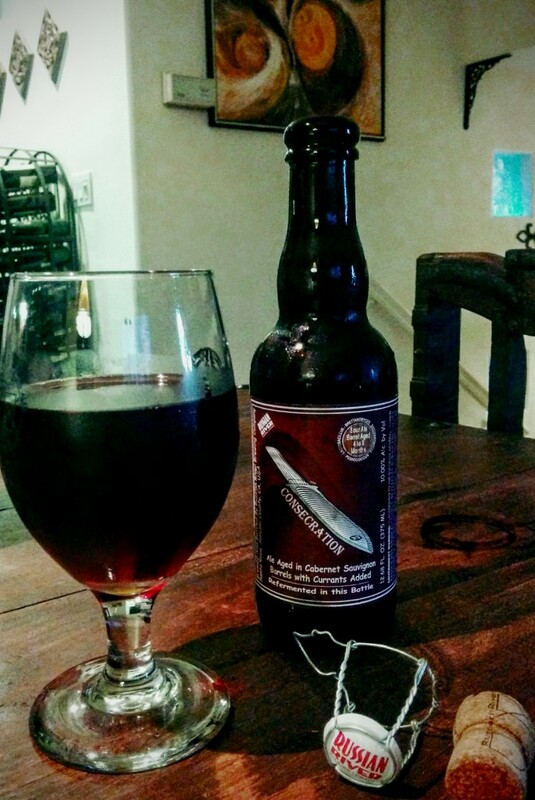 If you have not had the pleasure of tasting this incredible sour beer, Consecration is a sour dark ale aged in a Cabernet Sauvignon barrel. The beer ages for almost 8 months with currants and brettanomyces. What makes this MoreBeer homebrewing ingredient kit so special is that they provide actual oak chunks from real Russian River Consecration barrels! Where else are you going to find a home brewing ingredient kit with that. They also include two pounds of currants to replicate the original recipe as much as possible. I have had great success with this Consecration Homebrew ingredient kit and I highly recommend it to any sour beer lover. Here is a quick video review of the Russian River Consecration Beer Recipe Kit! If you have any question on this Russian River Consecration clone beer kit, feel free to reach out to me. 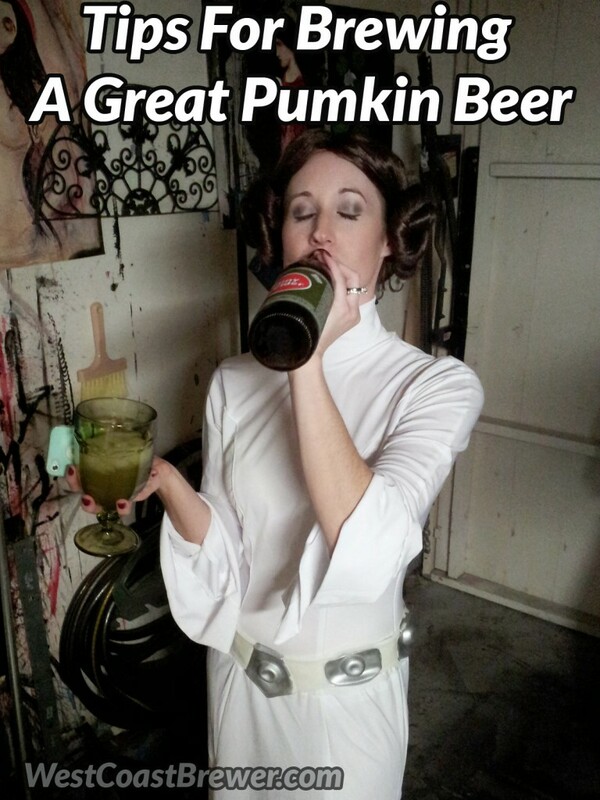 Happy home brewing!